The Canaveral Port Authority has contracted Dutra Dredging to widen and deepen the main channel at Port Canaveral, Florida. 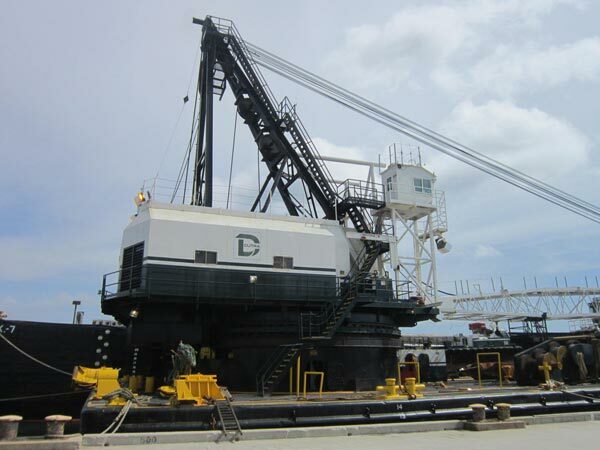 The work consists of dredging approximately 3 million cubic yards of material with disposal in an offshore site. Dutra recently mobilized the Derrick Barge Paula Lee and two split-hull dump scows, the 5000 cubic yard CK7 and 3000 cubic yard DS6 from their home base in San Rafael, California, to the job site via the Panama Canal. Work began in May 2014. This contract marks a return to East Coast clamshell dredging for The Dutra Group after a period of focusing operations on the West Coast. Management and the project staff look forward to a successful 2015 completion.